URS pension payments help keep Utah’s economy buzzing, supporting thousands of jobs and significantly boosting the tax base. A study released Monday (March 25, 2019) by the University of Utah’s Kem C. Gardner Policy Institute shows how these payments ripple throughout the state’s economy. 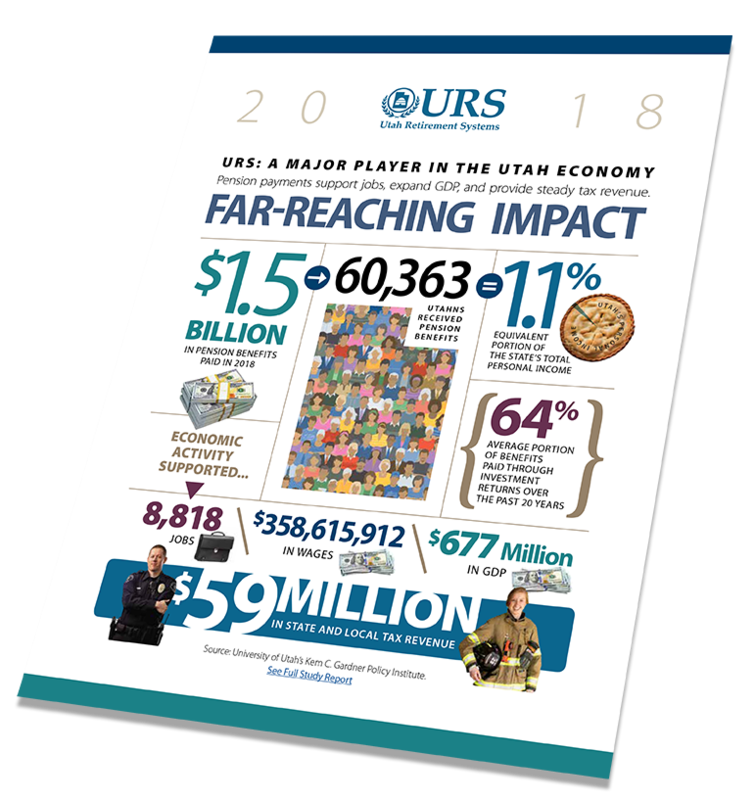 In 2018, the economic activity generated by URS pension payments supported almost 9,000 Utah jobs, $360 million in wages, $677 million in state GDP, and $59 million in state and local tax revenue. In 2018, URS paid more than $1.5 billion in pension benefits to more than 60,000 Utahns, an amount so large, it’s equivalent to 1.1 percent of the state’s total personal income. “This is larger than the earnings paid by computer and electronics manufacturers or the arts, entertainment, and recreation industry in Utah,” Downen said. The average portion of benefits paid through investment returns over the past 20 years is about 64 percent. Copyright © URS Newsroom. All rights reserved.